• Bosch home appliances is transforming its refrigeration portfolio with the introduction of the all-new freestanding French Door Bottom Mount collection. • The new collection was designed to address the three main consumer needs when it comes to refrigeration including design, freshness and organization. Irvine, Calif. (Feb. 18, 2019) – Bosch home appliances, known industry-wide for raising the standards in quality appliances, today announced a complete transformation of its refrigeration portfolio with the launch of the all-new Bosch freestanding French Door Bottom Mount refrigerator collection. These refrigeration units are designed from the ground up to address consumer needs when it comes to refrigeration and marks the beginning of a series of product introductions that will continue over the next several years, culminating in the broadest refrigeration portfolio in Bosch’s U.S. history. • Offering the premium look of a built-in model in a freestanding format, the 24-inch deep cavity sits at true counter-depth for a flawless fit alongside kitchen cabinetry. The length of the door extends fully to the ground, furthering the look of a built-in model and offering a seamless integration into any kitchen space. • Unprecedented craftsmanship is found in every component of the new collection—from fingerprint resistant stainless steel, to durable doors equipped with the signature Bosch soft close, infinity glass shelving lined with stainless steel, a stainless steel backwall and more—because the smallest details make the biggest difference. • A number of exterior features are situated within the interior cavity, including the Interior Water Dispenser, new UltraClarityPro™ Water Filter and Interior Ice Maker, for a sleek exterior. • A heightened awareness about food waste and an interest in fresh, nutritious meals leads to a need for properly storing ingredients. The new freestanding French Door Bottom Mount collection utilizes a unique four-point FarmFresh System™, an exclusive Bosch technology designed to keep food fresh for up to 3x longer*, for less food waste. • The innovative system features the industry’s first automatic temperature and humidity control drawer, VitaFreshPro™, helping to take the guesswork out of food storage via pre-programmed freshness settings. • All French Door Bottom Mount units are integrated with Home Connect™. From an alarm notifying consumers that their refrigerator or freezer door is open to immediate, expert evaluation on the refrigerator through Remote Diagnostics, Bosch appliances with Home Connect offer peace of mind for consumers in knowing they can remotely monitor and control their appliances from anywhere** via smartphone or device for greater convenience. • Refrigerator and freezer organization is key to food preservation. The new collection takes the guesswork out of the food preservation process and helps maximize freshness by making it easier to see, organize and store items to ultimately prevent them from becoming lost or buried. • From the FlexBar™, which provides a first-of-its-kind solution to utilize unused space in the upper refrigerator cavity, to Full-Width Chiller Drawers, Gallon Door Bins and upscale shelving and lighting systems, the new freestanding French Door Bottom Mount units are designed to fit every lifestyle. The new Bosch refrigeration portfolio is the result of an intensive collaboration between designers and engineers from the company’s global refrigeration network and the Refrigeration Technology Center in Oak Ridge, Tennessee. The new Bosch French Door Bottom Mount refrigeration collection will be available midyear 2019 with 800 Series counter-depth models in fingerprint resistant stainless steel and black stainless steel finishes, and multiple door and handle options to fit a variety of kitchen styles. The collection will be on display for the first time in the Bosch booth (#C3830) at the 2019 International Builder Show, taking place in Las Vegas, NV from Feb. 19-21, 2019, alongside a redesigned line of Built-In Benchmark® refrigerators as well as several consumer-driven additions to its award-winning suite of quality kitchen appliances. For more on Bosch home appliances, visit www.bosch-home.com/us, or connect with Bosch on Facebook (facebook.com/BoschAppliances), Twitter (@BoschHomeUS) or Instagram (@BoschHomeUS). *As compared to a Bosch refrigerator without VitaFreshPro. **Connectivity and speed varies based on network and WiFi levels. Bosch home appliances has been selling high-quality appliances in the United States since 1991. With a focus on engineering products that simplify life, Bosch is known nationwide for raising the standards in quietness, efficiency and design. Bosch frequently receives top ratings in leading consumer publications. 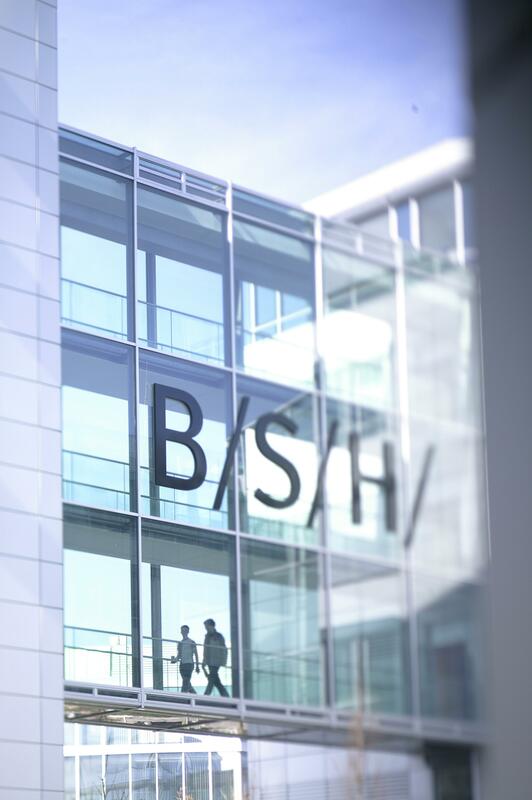 Bosch home appliances is part of BSH Home Appliances Corporation, a wholly-owned subsidiary of Munich based BSH Home Appliances Group, the largest manufacturer of home appliances in Europe, and one of the leading companies in the sector worldwide. Headquartered in Irvine, CA, the company operates manufacturing facilities in La Follette, Tenn., and New Bern, N.C., housing state-of-the-art factories for dishwashers, ranges, ovens and cooktops. Technology and Development Centers are located in Knoxville and Oak Ridge, Tenn., and New Bern, N.C.